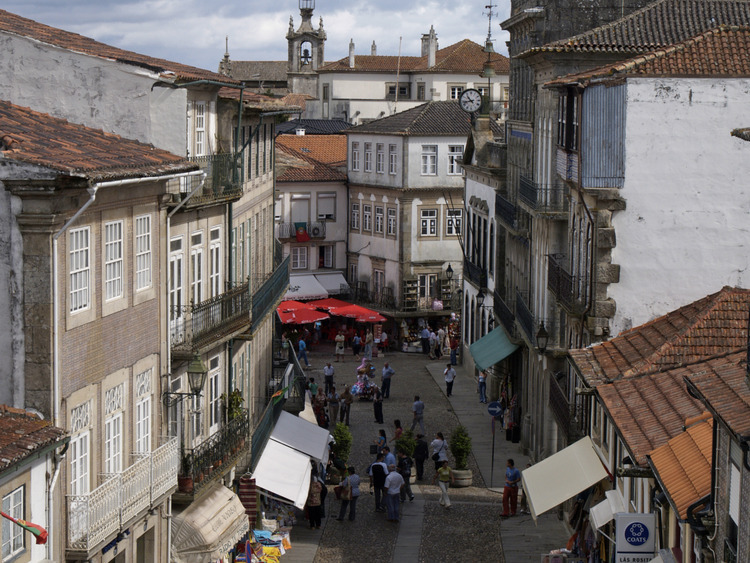 We leave Vigo and head south towards the Province of Pontevedra and we cross the border to reach Valença do Minho, a charming town situated in the north of Portugal on the main artery which links Santiago di Compostela and Porto. We stop to visit this magnificent fortified town, with its characteristic star shape, whose walls shelter pretty small squares and picturesque alleys which leave indelible impressions in our memory. The city was originally founded with the name "Contrasta", because it was built in front of the Galician city of Tui at the behest of King Sancho I of Portugal after the breakdown of the marriage of his daughter Teresa with Alfonso IX of Castile. Its current name dates back to 1262. From the fortress of Valença we admire the view of the fortified cathedral of Tui, on the opposite bank of the River Miño. We return to the coach and after crossing the border back into Spain, we visit Tui, which has been declared a city of historical and artistic interest. In this city in the Province of Pontevedra we visit the*Cathedral of Santa Maria*, founded in 1120 and subsequently an embattled fortress in Romanesque-Gothic style. From the tower, which is like a balcony overlooking the river, we can enjoy a beautiful panoramic view of the city before returning to Vigo.